Are you an enthusiastic outdoors person looking to improve your game? Have you been missing your targets with brilliance? Yeah, we’ve all been there. It’s so disheartening to leave the field at the end of a busy day knowing you never made a single accurate shot. The good news is that with the best Simmons rangefinders, you can turn things around for the better. 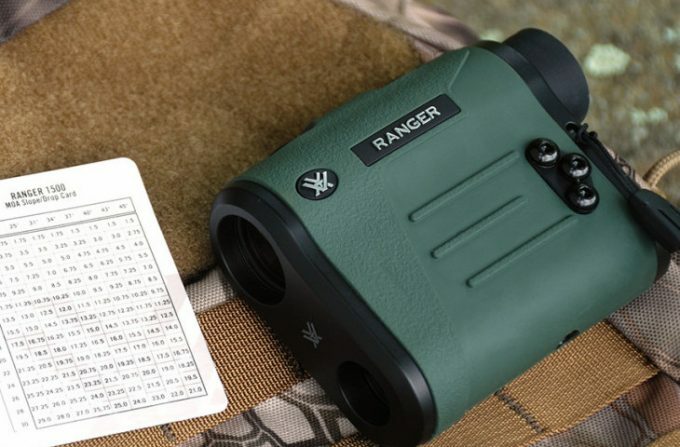 These rangefinders are simple, accurate and above all, designed to meet the ranging needs of both new and established hunters, shooters, and golfers. They can also calculate for you the angle compensation and true horizon distance thus making targeting and shooting less frustrating. Besides reviewing some of the best rangefinders from Simmons, this article will also touch on some of the essential things you need to know before buying a rangefinder. But before we go further, take a look at the comparison table below to get a feel of what lies ahead. When you were buying your car, you checked on its fuel consumption, mileage, capacity and a few other things, right? You should do the same when buying a rangefinder as well. 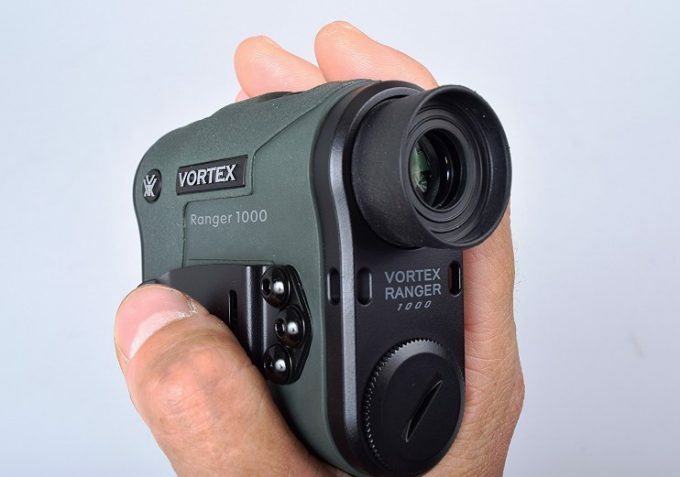 There are over 10 brands of rangefinders on the market, and each comes with its own special features. However, if you don’t know what counts, you might end up with another gizmo that will soon be added to a pile of useless items in your store. Before you buy a rangefinder, you first need to know what you want to do with it. If you are a long-range shooter, your priority should be those units with excellent ranges-usually above 1000 yards. Golfers, bow hunters and short-range shooters, on the other hand, should look for one that performs at around 200 – 800 yards. There is something very peculiar about size and weight; heavier and wider units tend to bag some of the best features seasoned shooters and golfers crave for. Well, some are usually heavy for awkward reasons like battery size. The lighter ones tend to have limiting features. So if size matters to you, you may be forced to make some compromises. A rangefinder can also come in a vertical or horizontal design. Most people like the former because it’s easy to hold in hands. Check on the magnification before you buy a rangefinder. One rule to remember is that the better the magnification, the lesser the field of view obtained, and vice-versa. 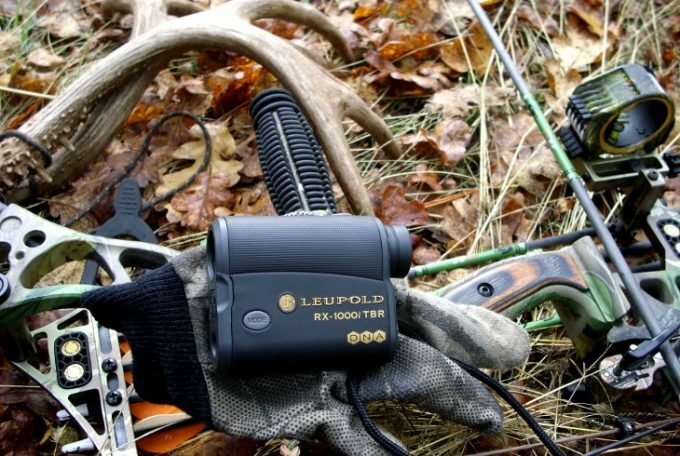 Short range shooters, particularly bow hunters and golfers will enjoy wider views with a 4x magnification. 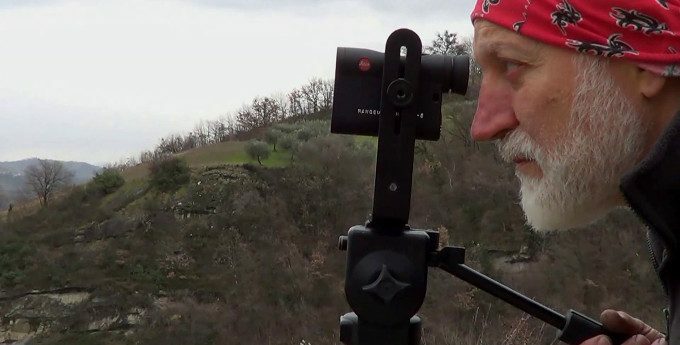 Long range shooters, on the other hand, need a powerful magnification, usually 6x or more so they can be able to obtain clear images of objects that far away. The reason you are buying a rangefinder is so that you can take the guesswork out of ranging. Therefore, the finder you pick must be able to provide exact readings with a smaller error margin. Normally, an accuracy level or +/-0.5 or +/-1 is good enough to guarantee you the perfect shot. You can get away with a +/-2-yard accuracy though if you’re interested in shooting for short distances and bigger animals. If there is one thing most outdoor individuals loathe is struggling to press the right button or adjust some parameters just to get a clear shot. Most rangefinders are easy to operate because they come with a single button that you can toggle to get the right settings. Speaking of simplicity, the display should be well lit to enable effortless reading. Also, all the important factors like angle compensation, range, etc. should be clearly displayed on the screen. Truth be told, simple can be boring or less effective at times. A rangefinder with a couple of sophisticated features will make hunting or golf more than just a game of accuracy. Besides getting the perfect shots, complex features save time as well. Some of the advanced features you need to look for in a rangefinder include Tilt intelligence (similar to angle compensation), Tru-technology, flagstick locking, laser and GPS capabilities, etc. The glass quality of your lens will determine how clear your images will be. Also, the presence of coatings on the surface of the glass optimizes light transmission resulting in brighter images. There are four types of coating found on the lens; single layer coating, fully coated, multi-coated and fully multi-coated. The latter is the most efficient when it comes to delivering bright images. Description: If you are a shooting, hunting or golfing beginner in need of a less complicated rangefinder but good enough to offer satisfactory results, try Simmons 801601 Volt 600 ATAC Rangefinder. It takes a vertical design which comfortably fits into the palm while ranging. Like most finders, this one too features a tough, weather-resistant outer casing with a single button at the top that you can use to change the finder’s settings. Although it’s compact in design, Simmons Volt 600 provides very bright, visible images. This is facilitated by its crystal-clear optics and a powerful, 4x magnification. Note that this unit’s magnification is only suitable for short range shooting, something rookies should find more than enough for their needs. When it comes to range, Simmons Volt 600 starts at 10 yards and goes all the way to 600 yards. After a little experiment, this finder was found to range a deer at 200-yards and a tree at 400 yards. Despite the ranging distance, this finder’s accuracy level remains at +/-1. The TILT Intelligence is one of the best features this less sophisticated rangefinder comes with. This technology ensures you get accurate or rather, true horizontal distance when shooting from a high or low point. Put simply TILT Intelligence is similar to the angle compensation feature. 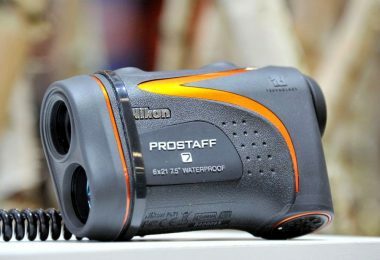 Related: Simmons Volt 600 Rangefinder may be limited in vision at times and that is why you need to carry Bushnell PowerView binocular. You may also need Primos Stretch-Fit Gloves to obtain an ant-slip grasp on most hunting tools. The gloves can also keep your hands warm on a cold day. 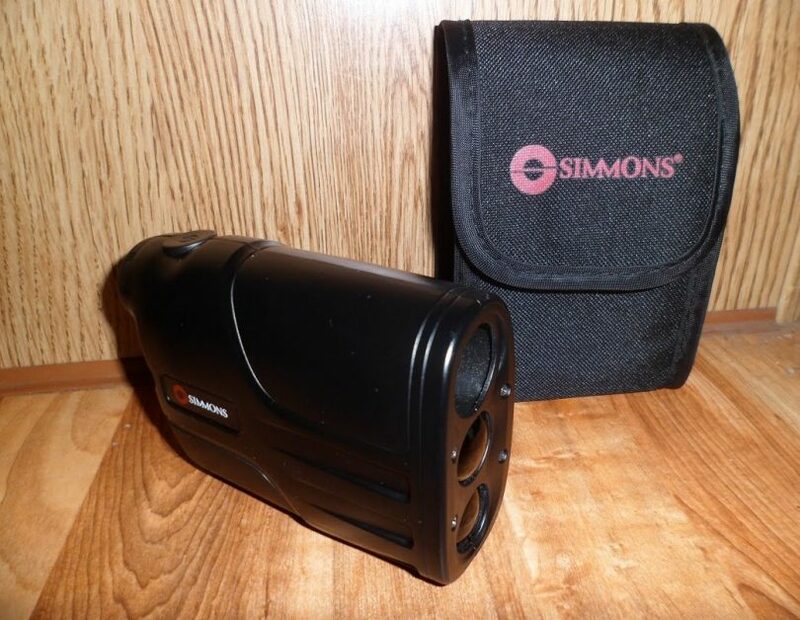 Description: Simmons 801405 LRF 600 Rangefinder is an elegant rangefinder with a compact design meant to fit in any individual’s palm. Even though it’s loaded with several cool features, this unit measures 9.8 ounces thus light enough to be worn around the neck. Speaking of the range, the Simmons 801405 Rangefinder is not categorized as a long rangefinder since it doesn’t give out measurements beyond 600 yards. Unless you are a long distance shooter, this finder’s ranging performance should not worry you. 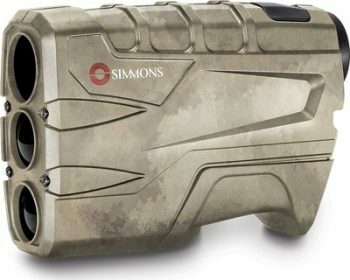 Regarding optics, this Simmons rangefinder is a class 1 laser rangefinder which means it offers basic optical abilities. It boasts of a powerful 4x magnification that provides the user with crystal clear optics. 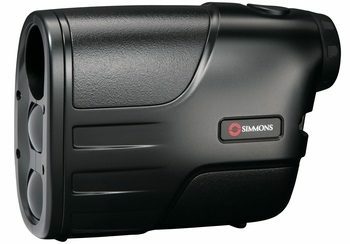 Simmons 801405 Rangefinder’s magnification allows it to offer a wider viewing field for golfers and hunters. Is it weather resistant? Of course, it is. The outer casing can keep the finder safe from rain for some time. Like other range finding units, however, this one too is not entirely waterproof. Related: The Simmons 801405 Rangefinder is frequently bought together with Whitetail Doe Estrous and Barnett Crossbow Lube, both which come in handy when hunting. The latter prolongs the life of bowstrings while the former invites bucks near the shooting range. 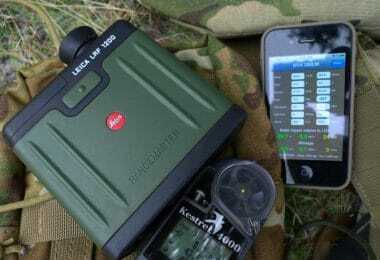 Description: If you are not willing to spend more than $150 for a rangefinder but still want to grab a superb ranging device, go for Simmons 801600 Volt 600 Laser Rangefinder. It advertises a maximum ranging capability of 600 yards, but that’s only possible on highly reflective targets. Normally, this finder ranges trees at 400 yards and a deer at 200 yards. Its accuracy becomes less reliable past 300 yards. 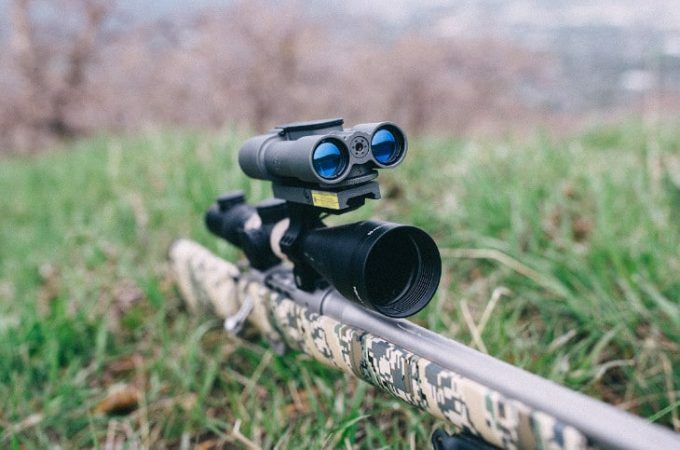 To help you view targets easily, Simmons Volt 600 features crystal clear optics and a good, 4x magnification which promises an excellent field of view as well. It’s bold capacity also features a simple LCD display for easy viewing. Design wise, this finder is compact, lightweight and is vertically oriented for easy handling. Its outer casing is durable enough to keep it safe from harsh weather conditions. It’s virtually impossible to get things wrong with this rangefinder. It comes with all the basic features that newbies will find less involving in the field. For instance, it’s one button-operated and that means no confusion on which button to use. Also worth noting, Simmons Volt 600 displays the results in standard units (yards and meters) that anyone is familiar with. 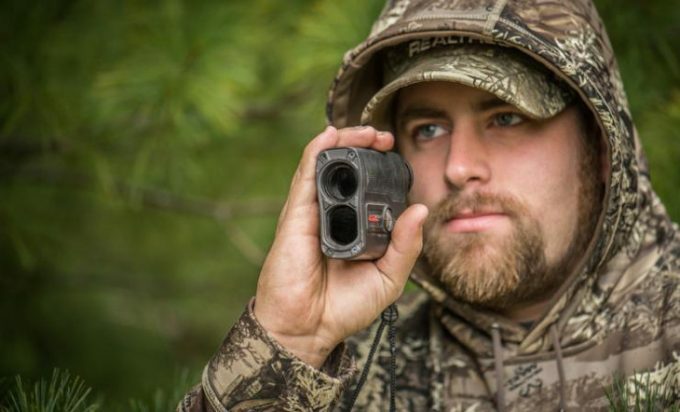 Related: Simmons Volt 600 Rangefinder is usually bought together with the Duracell MN1604 9 Volt and the Primos Deer Call Can Rings which produces doe sound to lure bucks within the shooting range. 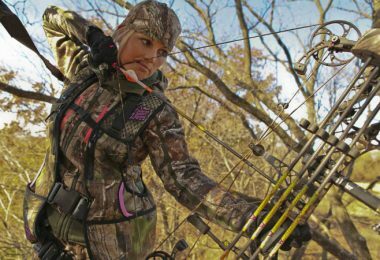 You may also need the Hunter Safety System Harness to suspend yourself or drag a deer. 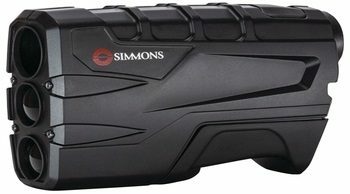 Description: The Simmons LRF 600 Rangefinder is another superbly priced rangefinder with above average features that can get any rookie outdoor person past the learner’s zone. The inclusion of the TILT intelligence practically puts this rangefinder into a fight with several high-end ranging devices out there. This technology calculates the true horizontal distance to the target when you are shooting from a non-straight position. Even though it uses a huge, 9-volt battery, this finder adopts a vertical design that most users find very easy to hold in their hands. Most finders with this design fall within slightly larger finders. Nonetheless, at a mere 8 ounces, Simmons LRF 600 remains to be both compact and lightweight. Like its cousins in this review, Simmons LRF 600 doesn’t promise too much magnification power either. It boasts of a 4x magnification ability which close-range hunters and shooters will find valuable-especially when it comes to viewing a larger area. As for the display ability, this unit’s provides impeccably sharp images up to 400 yards, beyond which it starts to struggle. Simmons LRF 600 has a minimum ranging from 10 yards and maxes out to 600 yards for highly reflective targets. Like its partners in this review, it can range trees at 400 yards and a deer at 200 yards. There is an option of receiving the readings in meters as well. Related: For effective performance, Simmons LRF 600 Rangefinder works better with Mossy Oak Face Mask and Wildlife Research Center Body Wash Scent Killer. Mossy Oak Face Mask ensures maximum camouflage while Wildlife Research Center Body Wash Scent Killer kills all the body odor making it hard for animals to detect you. 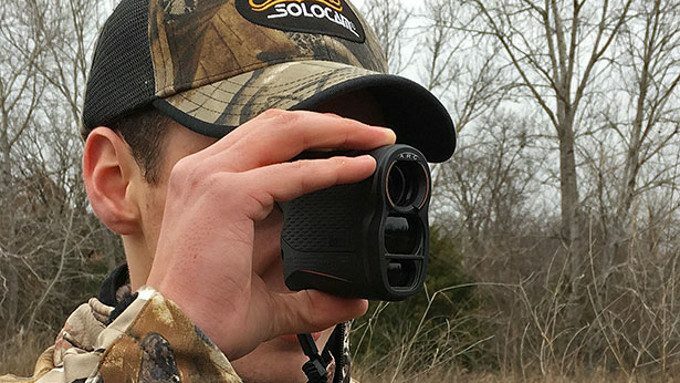 As you have seen, the Simmons rangefinders reviewed in this article are mostly targeted for rookie hunters and shooters who need a perfect way to nail down their targets. 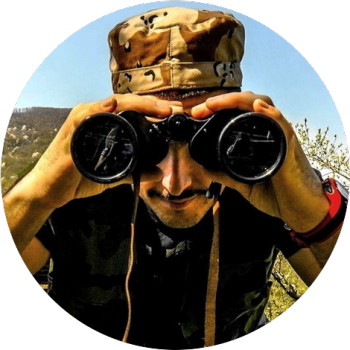 Seasoned shooters on a tight budget may find features such as TILT intelligence and crystal clear optics to be quite reliable during an outdoor activity. You shouldn’t be conflicted on which rangefinder to go for in this list since they are almost similar. The only thing that seems to vary is weight, which to some people doesn’t count a lot. Have you used budget rangefinders from Simmons before? What was your experience? Feel free to share your ideas with our readers.